As a marketer, I'm frequently asked about inbound marketing, social media and email tools. Naturally, I'm happy to discuss and opine on a variety of topics. When it comes to email, I'm regularly asked how I can deal with the ever increasing volume of emails. Conversely, I'm also asked about tools that can best send emails to add to that ever increasing amount of emails in your inbox. Here are three tools I use everyday. Whether it's staying in the know for a client industry or keeping up with competitors, I subscribe to a whole gaggle of blogs and newsletters. I don't necessarily want every single thing I subscribe to arriving in my inbox. I also don't want to completely unsubscribe from something that I may find relevant. Unroll.Me let's me decide what emails I still want in my inbox and what emails I want to unsubscribe from. If I don't want something coming into my inbox but don't want to completely unsubscribe from it, a Rollup will be created for me. I can go back and review the roll up whenever I like. 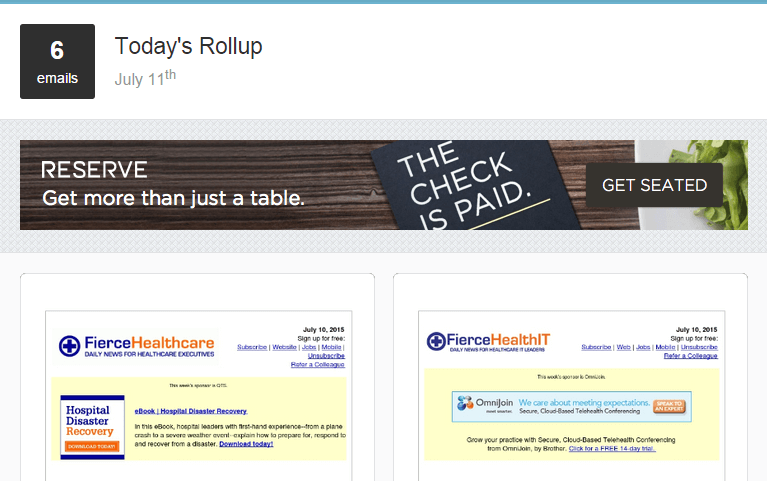 Unroll.Me gives me a efficient way to stay on top of subjects I care about without having them clutter my inbox. If you're the type of person that gets to Inbox Zero everyday then you get a gold star. Personally, I'm not a deleter and I tend to use email as a searchable database of conversations, files and facts. Every few weeks though, I need a good housecleaning and purging. I certainly won't be at Inbox Zero but I'll feel more organized and will have taken care of some those email cobwebs that were cluttering my inbox. Mailstrom can categorize your emails in a variety of ways - by sender, subject, time, and size for example. It's really easy to delete clumps of emails this way. Mailstrom also lets you unsubscribe from emails but it doesn't offer a roll-up feature like Unroll.Me does. Although HubSpot is a full blown marketing automation tool, the braniacs in Cambridge continue to enhance and build out HubSpot's email functionality. I recently ran a series of segmented email tests with HubSpot and it was very easy to do. We had six segments we wanted to test. After I determined what a statistically relevant sample size based on the total email list was, I uploaded the appropriately sized email lists. In this case a 500 email list would give us statistically significant results with +/- 2% error that would let us make decisions on what to do with the bigger list. We then ran A/B tests both with subject line verbiage and email content variations. HubSpot has also recently introduced a pretty fantastic email performance page that includes metrics for email engagement over time and clicks and opens by device type, among other key metrics. Looking to make your inbox a bit more manageable? Drag transforms your Gmail into organized Task Lists (like Trello, but for Gmail). Drag allows you to 'drag‘n drop' your emails between three stages: To Do, Doing, and Done. This allows you to see which messages you've responded to, which are in progress, and which still need attention. It's customizeable and makes the hours spent in your inbox much more organized. Worth a try if you are drowning in email and if you have used and like Trello. As I said up front, these are tools I use daily. With that - a word of caution. If you're a security or privacy nerd you'll have to give Unroll.Me and Mailstrom a connection with access to your email accounts so they can regularly mine and categorize your emails. If you're concerned about this or need to maintain your email completely secure because of industry compliance issues these tools may not be right for you. 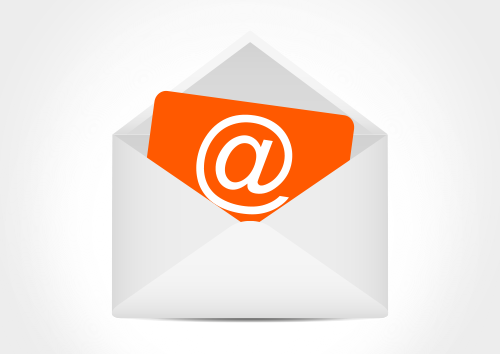 HubSpot offers a stand-alone portal that you'll log into when sending emails. Whatever you decide, these are three powerful tools that will help you manage incoming and outgoing emails.